to utilise the Australian media reform bill, acquiring Fairfax, including all of its print, radio and digital assets, to form a new entity called 'Nine', effectively ending the Fairfax brand in Australia. In a letter to Nine staff today, CEO Hugh Marks stated the merger had fundamentally improved revenue profile. "A year ago, in our half-yearly results, 86% of Nine’s revenue came from broadcasting. Today that figure is 54%. Why is that important? Not because broadcast won’t continue to be the great business it is today, but because we’ve invested in a broader business that as a whole will grow," he said. Marks said this will continue to be achieved by using the breadth and reach of broadcast to help grow its other businesses, as well as investing in the future of its content mix and enhancing the digital profile of the business. Together, digital and publishing reported revenue of $328m (of which less than half was derived from print, and less than half that again from print advertising), and a combined EBITDA of $60m, up 39% for the half. Metro Media reported overall revenue growth of 4% after three years of single digit declines. Continued strong readership of the Group’s mast-heads drove 12% growth in digital revenues, and stabilising print revenues (both in terms of circulation and advertising). Part of the digital division, Nine's broadcast video on demand (BVOD) platform 9Now further increased its market share to 47.5%, for revenue growth of more than 50% in a BVOD market which grew by 41% for the half to almost $60m. In the subscription video on demand (SVOD) space, Nine's now wholly owned SVOD platform Stan recorded a "very strong" period for sign-ups, with active subscribers now of around 1.5m. Usage per subscriber continues to increase, with daily total hours streamed now exceeding one million. Revenue growth of 50%, and a cost increase of 19%, led Nine to announce that the streaming business is expected to exit FY19 with its first positive profit run-rate since launching. Nine’s Broadcasting division, which comprises Nine Network as well as the consolidated results of Macquarie Media (of which Nine owns a 54.5% stake), reported EBITDA of $177m on revenues of $632m for the half, down 10% compared to the previous period. Nine Network reported a revenue decline from $637m to $564m for the six months. One less week ($15m) and absence of Foxtel simulcast revenues ($9m) accounted for around one-third of this shortfall. Despite this, for the six months leading to December, Nine attracted the number one commercial network share of 36.7% of the 25- 54 demographic, notwithstanding the absence of cricket. For the primary channel, Nine’s share of the 25-54s was 37.1%, around 3.4 share points ahead of its nearest competitor. Nine believes that the FTA market should improve in the run up to, and post the Federal Election, currently expected in May. Full year FTA costs are now expected to be down by around 4%. Reported overall costs improved by 13% or $62m for the six months. The considered move away from cricket accounted for much of this change as Nine refocused its summer sport to tennis. Costs involved with the merger reached $43m for the half, with $29.6m attributed to restructuring and termination related costs, while the remaining $13.8m was attributed to acquisition related costs. In the coming months further changes will be made to the business as Nine looks to divest certain assets, such as Australian Community Media, Stuff NZ and events. Since completion, Nine has been focused on integrating the operations of businesses and "building on the foundations" established by both companies separately. “The merger with Fairfax has created Australia’s pre-eminent media company, with a diverse suite of assets that now reach more Australians each week than those of any other local media company," Marks said. At the time of the initial merger announcement, Nine and Fairfax estimated total annualised cost synergies of at least $50m, with nearly half the saving sourced from corporate costs, around 30% from sales and the rest from digital and publishing. Nine now estimates that total cost synergies available will be around $65m. 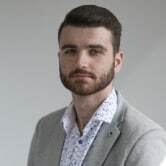 From a sales perspective, Nine last year revealed the executive line-up, structure and plans for its consolidated sales team in 2019, with Matt Rowley now leading the publishing sales arm, joining from the now-defunct Fairfax brand. Under the new integrated sales structure, Nine will co-locate all of the 500-plus sales staff from Nine and Fairfax into its Nine sales offices in Sydney, Melbourne, Brisbane, Adelaide and Perth. Nine has pointed to the strength of its digital and publishing assets as the key factors that offset its weaker performance in the "difficult" free-to-air market, as it looks to build the "media business for the future". 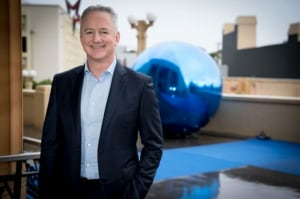 Revealed today in its first half result for FY19, Nine reported 39% growth in digital and publishing earnings before interest, tax, depreciation and amortization (EBITDA ), underpinned by >50% growth in both Metro Media, which includes the recently acquired Fairfax news assets, and its on-demand TV platform 9Now. Last year Nine became the first major media business to utilise the Australian media reform bill, acquiring Fairfax, including all of its print, radio and digital assets, to form a new entity called 'Nine', effectively ending the Fairfax brand in Australia.